Johnny Manziel is a headline-grabber, but that’s not a surprise to anyone who has watched the NFL or college football over the past few seasons. He’s unavoidable, he’s polarizing, and he’s either a fan favorite or someone who you love to hate. 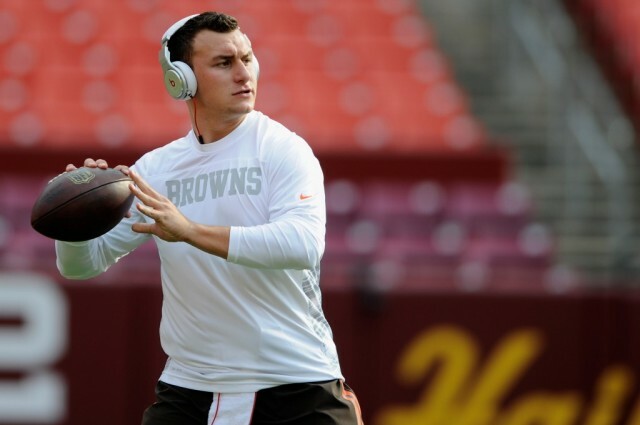 What he might not be is good at football, and with Josh McCown now rumored to be the starting quarterback for the Cleveland Browns, is Manziel Mania over? Not even close. 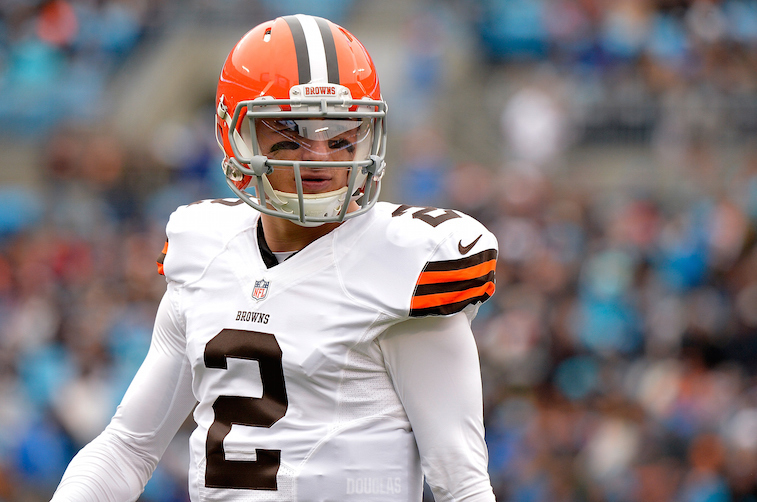 As a matter of fact, we’d actually say that the excitement surrounding Manziel should be even higher at this point. 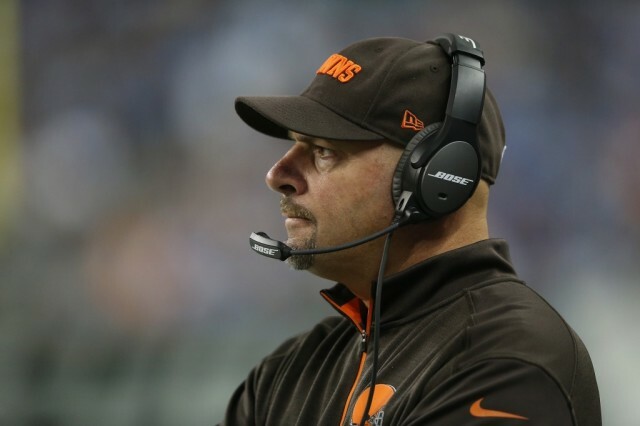 Yes, even factoring in that he didn’t suit up for the third preseason game and won’t play in the fourth due to elbow soreness, according to Mary Kay Cabot of Cleveland.com. NFL fans know what McCown’s ceiling is. We’ve seen him play and we know what he’s capable of. 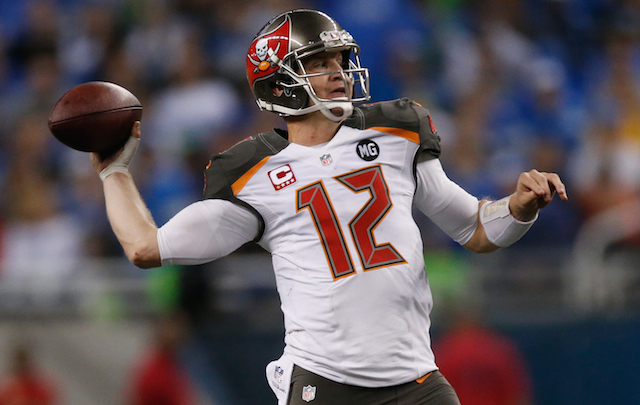 McCown has played with six different teams during his time in the NFL. Was his 13-to-1 touchdown-to-interception ratio impressive back in 2013 when he took over for Jay Cutler? Absolutely. Take that in for a minute. A total of 48 touchdowns against 58 interceptions throughout almost his entire career. While McCown’s ceiling may be his 2013 season in Chicago, I’m not sure we see him even come anywhere near those numbers again, not ever. So, what about Manziel’s ceiling? Simply put, we have absolutely no idea what it may be. Could it be worse than McCown’s? No, that seems highly, highly unlikely. Could it be far, far above McCown’s? Without a doubt. Manziel’s pure potential isn’t the only thing that should give him the edge at quarterback in Cleveland though. There’s far more to it, so let’s take a look at how the first two preseason games played out. Should we purely look at the box scores from Cleveland’s preseason action against the Washington Redskins and Buffalo Bills? While that’s not the only way to measure the battle between Manziel and McCown, but it can tell us quite a bit. Johnny Manziel: 17-of-29 with 160 passing yards, one passing touchdown, zero interceptions, 5 rushes for 33 yards and one rushing touchdown. Let’s also not forget to factor in McCown and the Browns’ third preseason game against the Tampa Bay Buccaneers. McCown was great in that one, completing 17 of 23 passes for 117 yards and two touchdowns. Does that third preseason game give McCown the edge? Honestly, it probably saved his starting job, at least for the time being. When you truly break down the competition between the two, they are pretty even. While Manziel had more incompletions, his ability to make plays and break defenses down with his legs is a major weapon. The preseason numbers are just that — preseason — but QB debates like this are exactly the problem that these games are designed to solve. Manziel’s upside is obvious, you can tell it just from watching it live, and while we haven’t seen that it’s Johnny Football’s show right out the gate, it’s clear he’s a different player than last year. Sure, there’s still the “happy feet.” but he’s worked quite a bit on remaining poised and going through his reads. Getting him more in-game action will be key to helping him grow. Here’s the part that very few people are actually considering when looking at the quarterback situation in Cleveland. There is no Josh Gordon. There’s no Jordan Cameron. There’s potential in the run game, but still question marks. So what’s left? A group of wide receivers that includes Brian Hartline, Dwayne Bowe and Andrew Hawkins as their top three, with Gary Barnidge at tight end. Over the past three seasons with the Kansas City Chiefs, Bowe’s best year was 801 yards and three scores. As for Hartline, he took a huge step back last year, totaling just 474 receiving yards. He topped 1,000 in two seasons before that, but has only topped three receiving touchdowns once in his career, which came in 2013. The idea is simple. The Browns don’t have any major playmakers in the passing game. If this team wants to find the answer to the problem of who will create plays and ignite the offense in 2015, well, his name is Johnny Manziel.